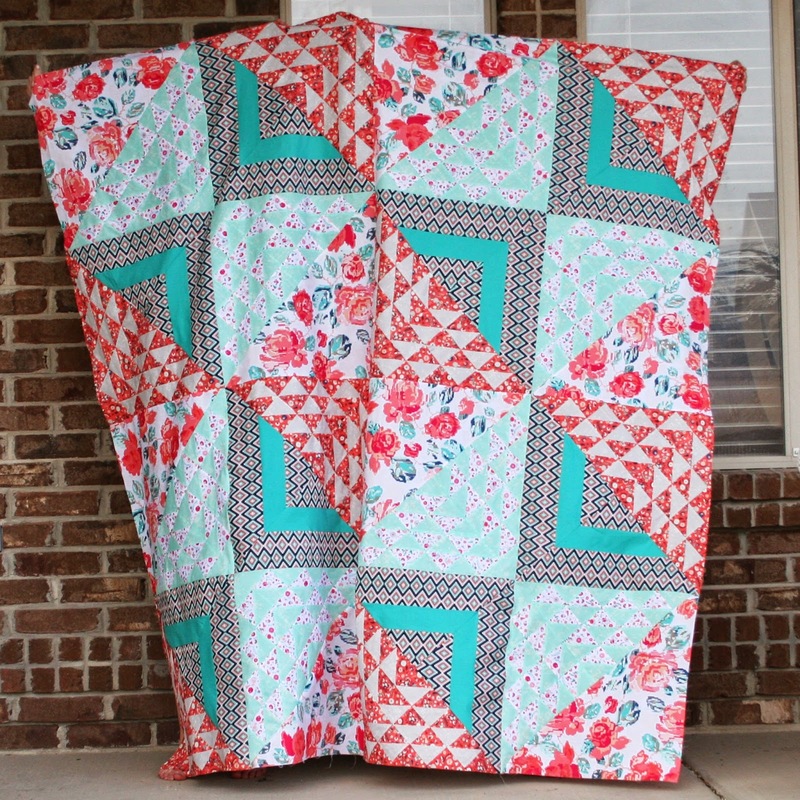 Quilt Story: Finished Birchen quilt top! My finished quilt! 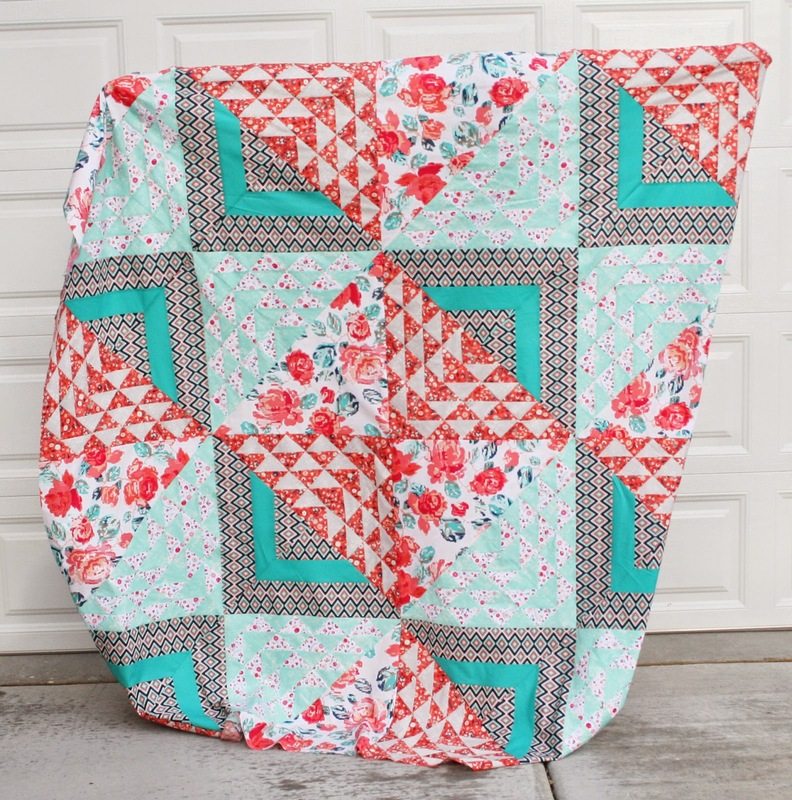 The Birchen Quilt from Fat Quarter Shop. 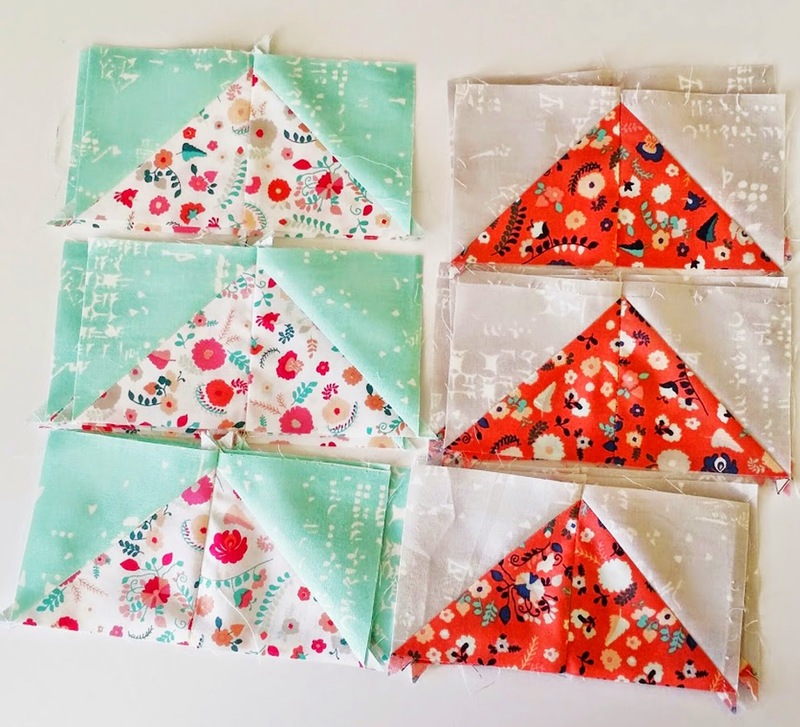 (links below for free quilt pattern, and video tutorial) and Recollections fabric from Art Gallery Fabrics! Love! A few progress shots. Thank goodness for "Triangles on a Roll" it made all these half square triangles so much easier to make! I chose to go with something a bit out of my comfort zone. More bold colors, and more modern prints. Recollections from Art Gallery. I LOVE Art Gallery Fabrics, so very soft! And so many of my new favorite fabric lines are from Art Gallery. 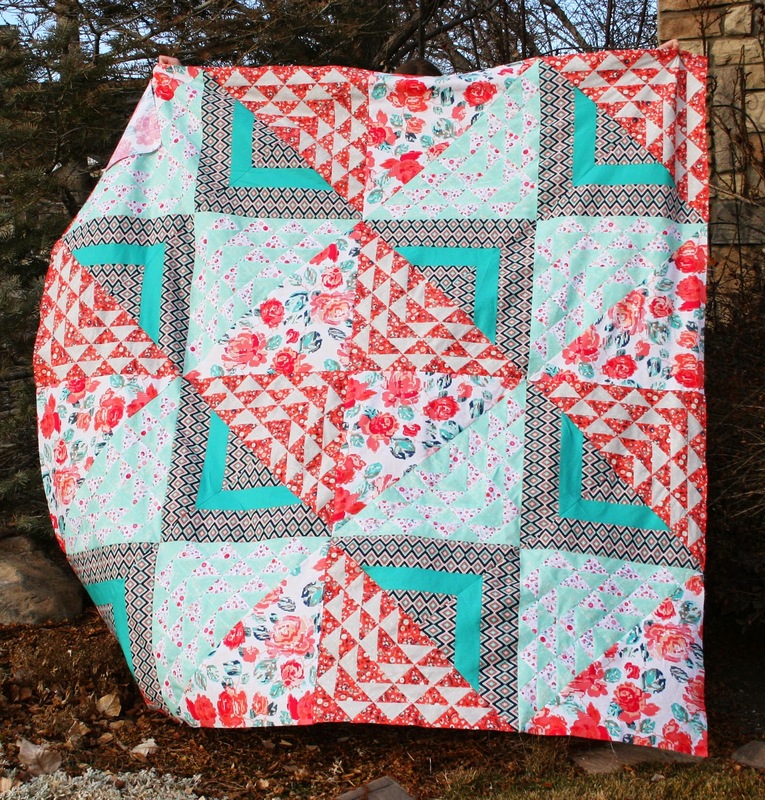 I am so happy with this quilt! I love the fabrics and colors. I can't wait to quilt it. Thank you Fat Quarter Shop and Art Gallery Fabrics. Also, a link to the Birchen quilt kit from Fat Quarter Shop with the Hello, Bear line from Bonnie Christine. Love! It is really pretty. I like the colors too. Get. Out. Everything about this quilt is beautiful. 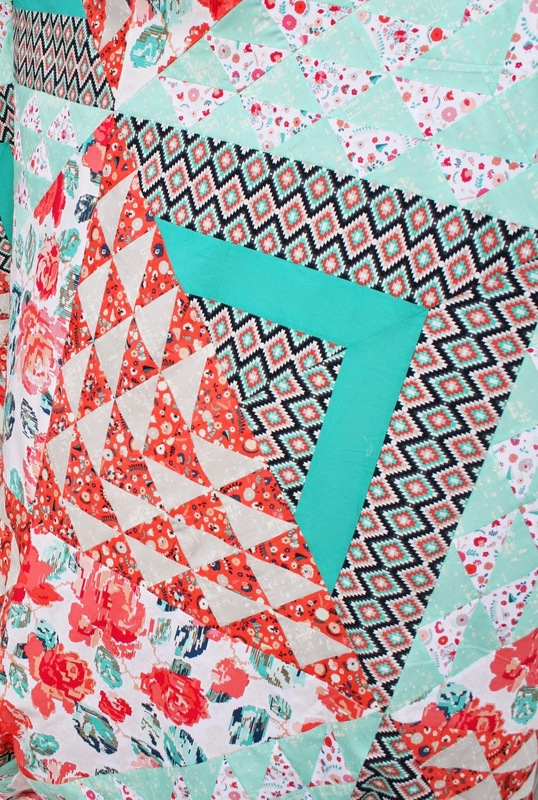 I love the new take on a traditional triangle quilt. And that fabric... swoon! Your birchen is more beautiful than the original !Bravo! 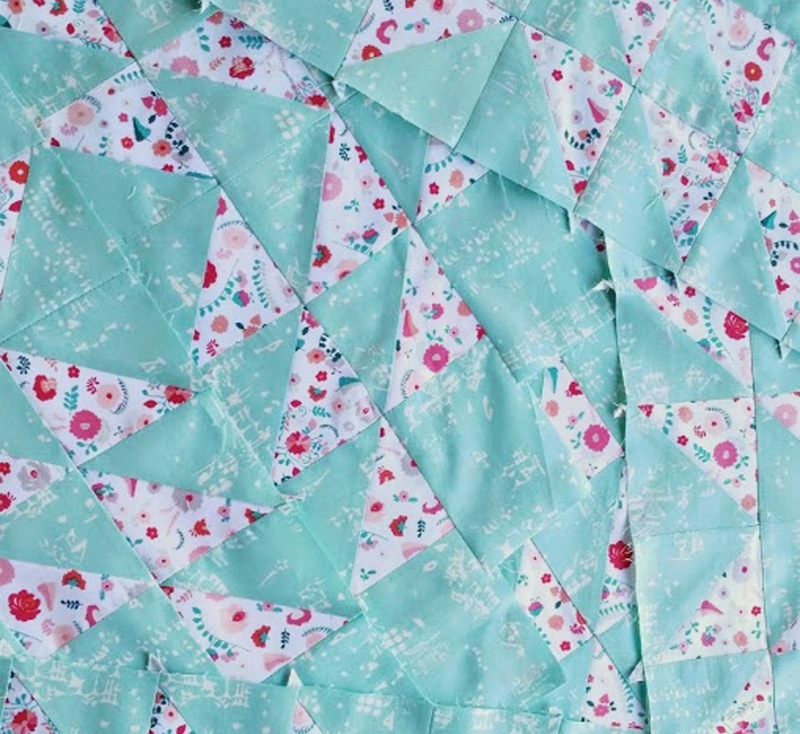 Your quilt is absolutely gorgeous! OMG that HST on a roll paper is a game changer isn't it??? I didn't get it till I watched the video. WOW. Absolutely gorgeous!! Your design arrangement and choice of fabrics/colors is just outstanding. Thanks for sharing your talent with us. What a great success with the out-of-the-zone choices you made! Yeah, I really love Art Gallery fabrics, too. I'm stitching the binding down on a quilt backed in their fabric. Love the feel! It looks great! The colours are quite stunning. Red and turquoise!! Yessssss. This is gorgeous! I definitely am going to have to look into that whole triangles on a roll thing! 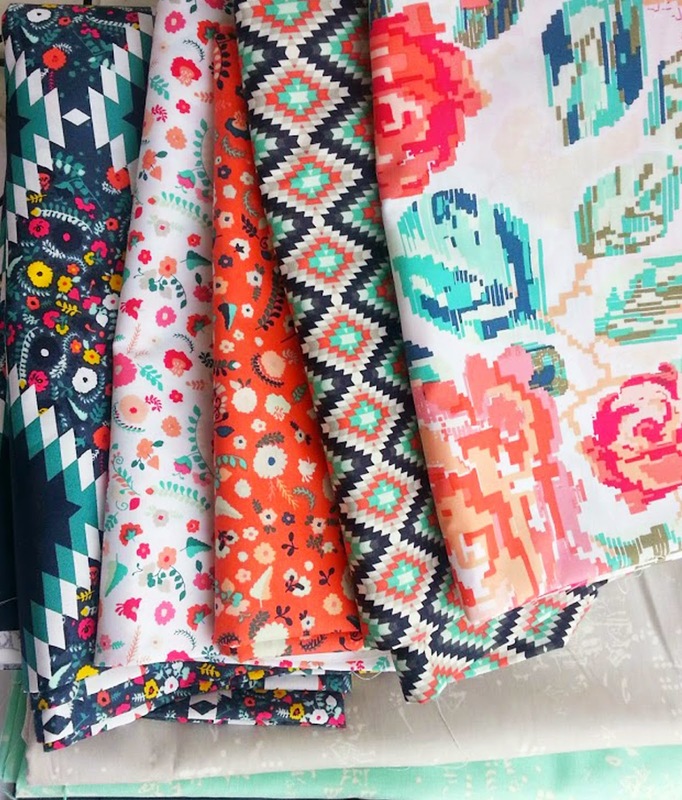 Gorgeous exciting color palette of fabrics used for an amazing quilt! Such a bright and cheery, modern quilt. Lovely work! Question, are you not doing Fabric Tuesdays anymore? I just love how crisp the triangles on a roll make your HST's! The workmanship is spot on though as I have come to expect from a QS project, so loving the color choices!